I can’t wait for you to check out my books! All are available in paperback and eBook format. Scroll to the bottom of this page to learn about my self-paced courses. Note: The links below are Amazon affiliate links which helps keep ClassTechTips.com up and running! 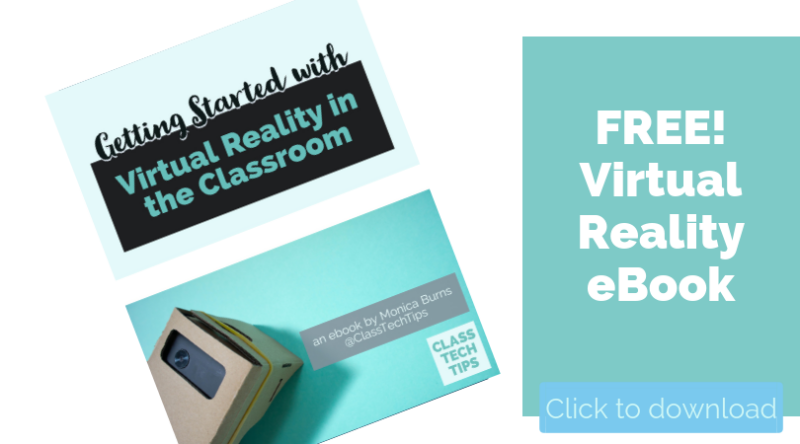 With such a dizzying array of mechanical and virtual help at our disposal, it can be a challenge for educators to know where to start. 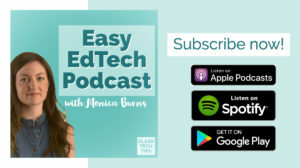 Educator and technology consultant Monica Burns can relate. 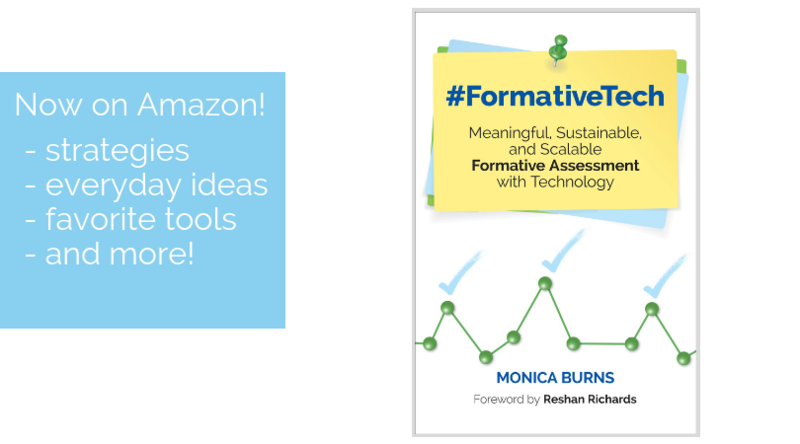 Monica wrote this book to share strategies, tools, and insights that teachers can use, regardless of subject or grade level. 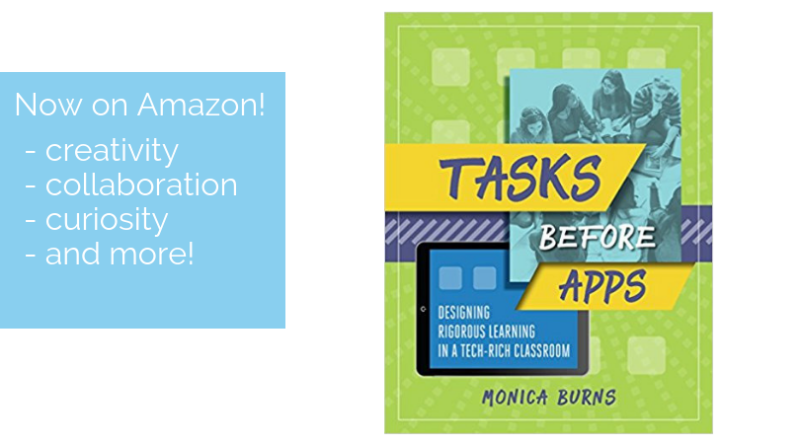 Monica will teach you to effectively incorporate technology in the classroom focusing on the “three Cs” of technology implementation—creation, curiosity, and collaboration. Teach your students to communicate on posts and message boards, locate credible information on search engines, and select efficient, cost-effective equipment furthering academic skills, social development, and digital aptitude in the classroom. Adobe Spark is a fun, free content-creation tool that anyone can use. Easily accessible on web browsers, Chromebooks, and mobile devices, Adobe Spark’s intuitive and easy-to-use design makes it the perfect tool for learners of all ages to create . . . Web newsletters . . . and so much more! In the hands of creative educators, Adobe Spark provides students with a fun way to embrace critical communication and creativity skills. But what if you don’t consider yourself a “creative educator” or just aren’t sure where to start? 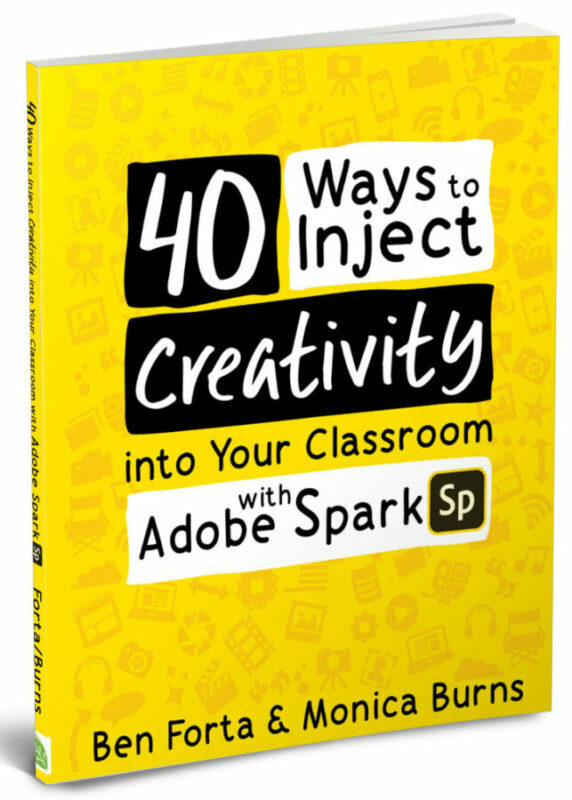 That’s where 40 Ways to Inject Creativity into Your Classroom with Adobe Spark comes to the rescue! 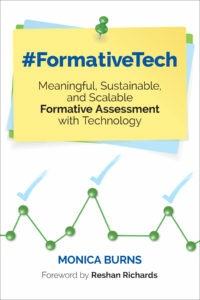 Experienced educators Ben Forta and Monica Burns offer step-by-step guidance on how to incorporate this powerful tool into your classroom in ways that are meaningful and relevant. 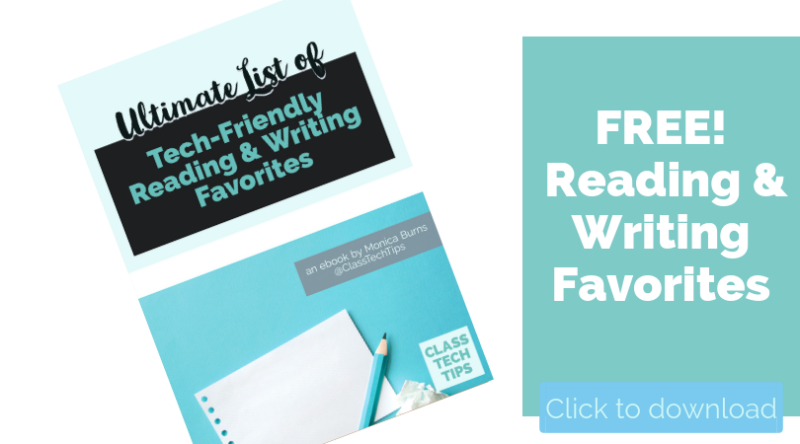 They present 40 fun and practical lesson plans suitable for a variety of ages and subjects as well as 15 graphic organizers to get you started. 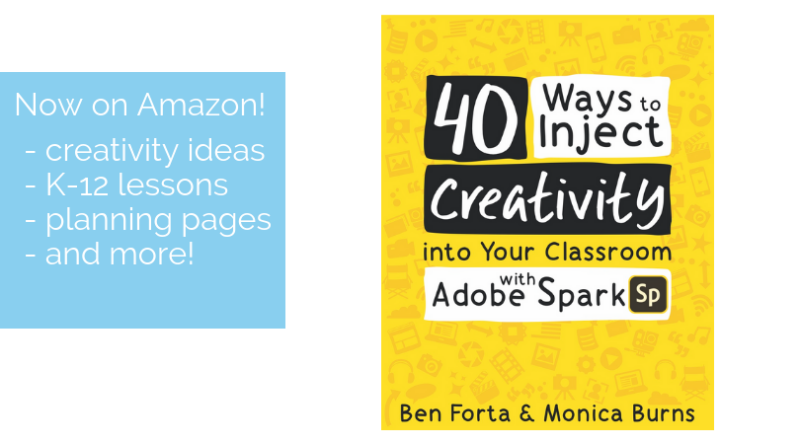 With the tips, suggestions, and encouragement in this book, you’ll find everything you need to inject creativity into your classroom using Adobe Spark. 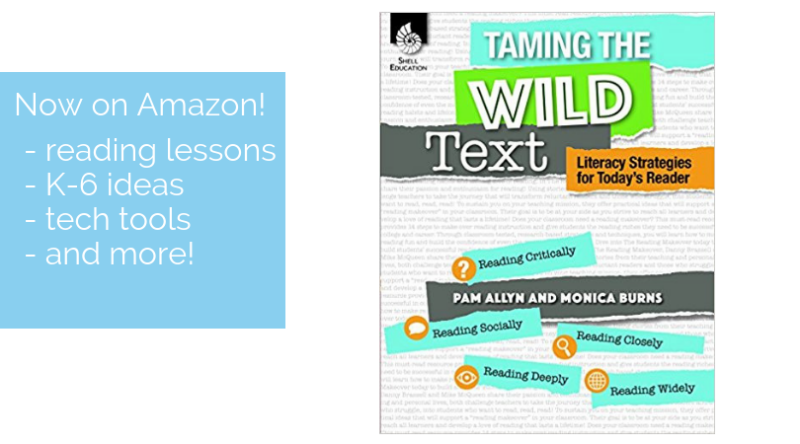 Taming the Wild Text: Literacy Strategies for Today’s Reader provides teachers with the best practices for teaching reading to 21st century students. This resource guides teachers in how to meet the changing needs of today’s readers while still meeting today’s rigorous standards. 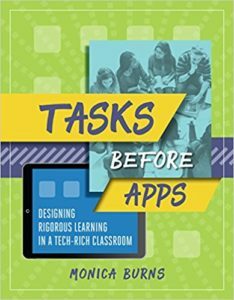 The big ideas and actionable lessons can be tailored to different grade levels, different types of devices, and different technology plans. Students are reading multiple genres on multiple platforms, and this resource emphasizes integrating technology and finding a balance in the literacy classroom between print and digital texts. Each chapter is devoted to helping students develop the Five Habits for Reading: reading widely, reading critically, reading deeply, reading closely, and reading purposefully will enable students to tackle texts across all genres and platforms. Each section provides descriptions of key reading skills and strategies that teachers need to introduce and practice in their classrooms, and these strategies are closely tied to today’s college and career readiness standards. 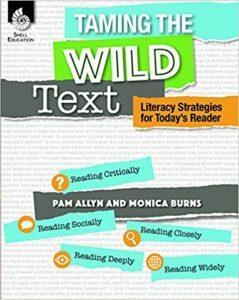 By providing structures and techniques that support the growing reader, teachers can launch their students into the world of 21st century reading. 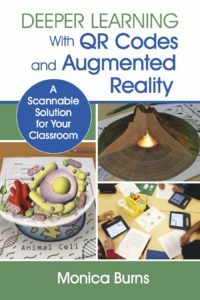 Discover scannable technology and how to use it in your classroom, including QR codes and augmented reality. An easy read packed with useful information, examples, and exercises to create engaging and differentiated learning experiences with QR codes and augmented reality, this handbook is a resource for educators and administrators. Through Monica’s ACES Framework, teachers learn how to create learning experiences that focus on educational value rather than technological “wow” factor. What if your students’ mobile devices became an instructional asset rather than a distraction? Discover how free, scannable technology can enrich learning, while captivating students. 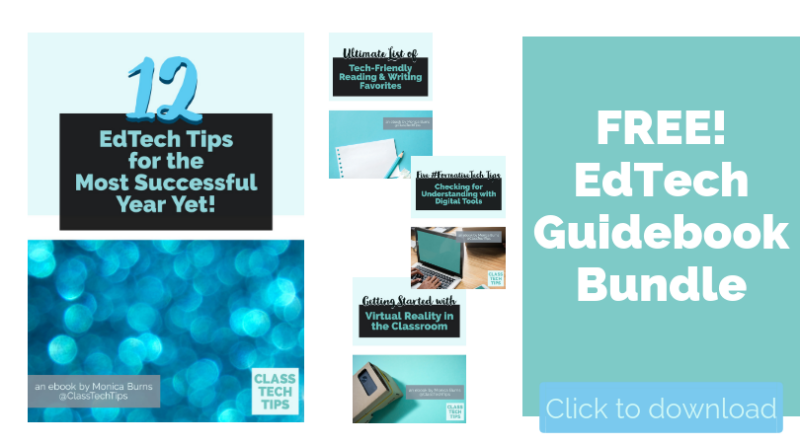 Best of all, these technologies are easy to quickly implement within your classroom. 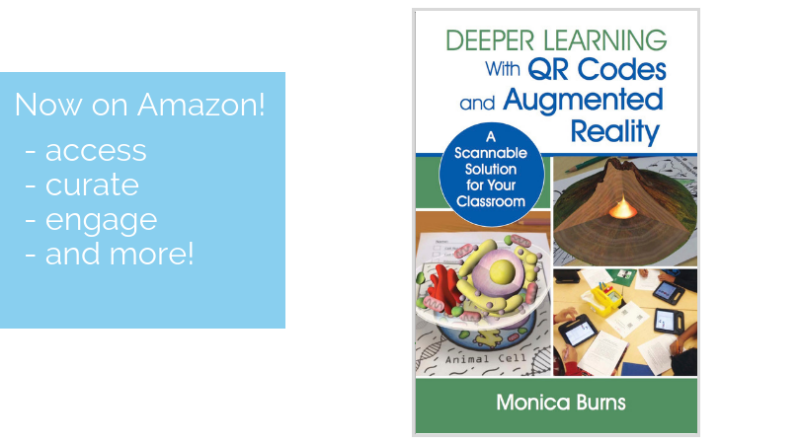 Click here to order Deeper Learning With QR Codes and Augmented Reality: A Scannable Solution for Your Classroom. In this self-paced course you’ll learn how to take your current practice to the next level to create interactive learning experiences that transform students into creators while honoring their curiosity and providing opportunities for collaboration. After completion of this course, you will receive a digital badge that recognizes 10 hours, which may be used toward renewal credits per your school/district process. You may want to get approval before you sign up. We have a certificate we can generate for you upon request – other teachers have used this for PD credit at their school, but every school is a bit different with their policy. 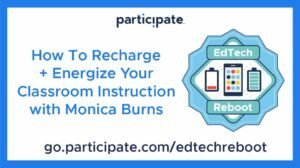 Here’s a quote from Laurie Prewandowski, District Technology Integrator, New Hampshire who signed up for the course in July: “Tasks Before Apps” is the mantra of the EdTech Reboot course for Energizing your Classroom Instruction and it delivers! Each lesson begins with a review of sound pedagogy before technology tools are even introduced. The lesson ends with participants practicing with innovative technology tools to enhance and energize instruction. 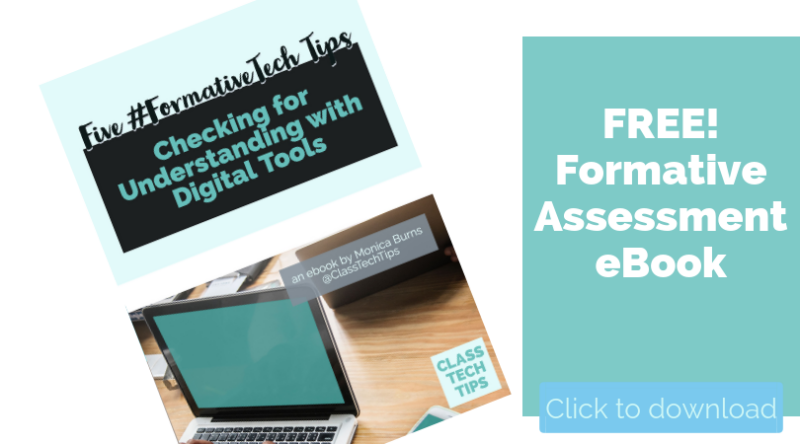 There is something for every teacher whether strong in technology or just a beginner. Click here to access this self-paced course.